Whenever I mention to a new acquaintance that I work in fragrance and we plunge into a discussion of perfume, most people remark that they never thought that scents could be so fascinating. We take our nose for granted. In various surveys asking people what sense they would most likely give up, most select their sense of smell. But it only takes a moment of reflection to realize how hard this loss would be. As many studies show, without the sense of smell, our food tastes bland, our libido suffers, our world loses color and even our memories becomes so much poorer. The message is simple: take care of your nose and use it to its full capacity. Enjoying perfume is only one facet of being scent obsessed–cooking, gardening, and even something as simple as taking a walk in the park counts too. But perfume is such a great adventure. It cheers me up when I feel down. It makes me feel elegant. It indulges my fantasies and wanderlust. Exploring scents for their rich history and fascinating craftsmanship gives me as much satisfaction as art and music, and it is just as rewarding. 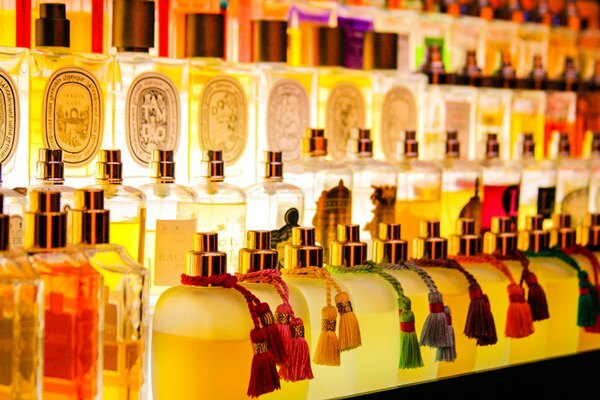 But when you are standing in front of a crowded perfume bar, it’s easy to feel disoriented. Where do you start? What do you smell? It doesn’t help that the sales associates are only pushing the new releases their brand pays them to promote or that they are usually not trained enough to guide you. I wish I could go to the perfume counter with you and spray away (although I admit to being just as confused when I face the dozens of perfume bottles filled with nearly identical juice). Instead, I decided to take a look at Bois de Jasmin’s archives and highlight articles relating to different aspects of perfume enjoyment. I hope that this selection will be helpful both to perfume newbies and perfumistas with many years of perfume exploration under their belts. I also look forward to hearing your tips and thoughts on this topic. If you are reading this blog, you’re probably already interested enough in perfume to be curious to explore more. Perhaps, you have a couple of perfumes in your collection and are looking either to expand your wardrobe or to try something new. The reason I start this discussion by talking about the perfume counter is because that’s where most of us dip our toes into the endless sea of perfume. Approaching the perfume counter in the right way and figuring out how to make sense of what you find there is essential. In my Perfume Shopping Tips Article, I talk about ways to research scent selection, how to smell, and most important, how not to get overwhelmed by the choice at the perfume bar. If you live outside a big city, Suzanna’s article How to Survive As a Small Town Perfumista gives some ideas how to manage your perfume hobby. When you are just starting out in your perfume hobby, you should smell as much as possible and don’t rush into purchasing anything. Instead, collect samples and revisit them from time to time to hone your nose and to learn about your tastes. In The Art of Seducing Yourself : How to Select Perfume, I describe some ways to understand your preferences. This may sound facile, but sometimes it’s hard to know what exactly we enjoy. The most important person you have to please is yourself, so listen to your instincts. A beautiful perfume will give you an emotional rush and butterflies in your stomach. So, where do you start if you want to try more than what’s available at your local mall. In Exploring Niche Perfume, Bois de Jasmin readers share their favorite niche and indie brands and their recommendations on where to start. Approach each new scent with an open mind and allow the perfume to develop on your skin and run its full course. Ask yourself these questions: Do you enjoy the perfume at all stages? How well does it last on you? Do you remember it the next day? 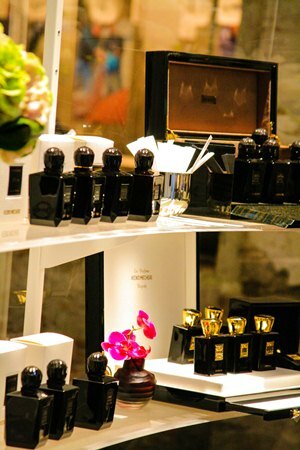 A beautiful perfume is memorable, harmonious and full of surprises. In a two part article on The Price of Luxury Perfume and Value For Money, Quality and Other Perfume Musings, the topic of perfume quality is explored in more depth. Favorite Affordable, Inexpensive Fragrance talks about cheap & chic scents that won’t break the bank. Also, you might find extra tips in my article on How to Make Perfume Hobby Affordable and More Fun. Sometimes you may find that a perfume smells great on the blotter and not so interesting on your skin. In Do You Have Skin? On Skin Chemistry and Perfume, I describe how individual body chemistry can affect the way fragrances smell on skin. 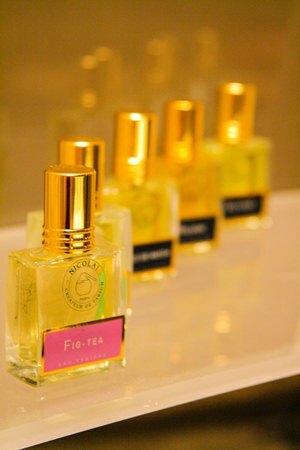 In some cases, a perfume might require more than one trial before you can determine whether you enjoy it or not. Suzanna covered this topic in Perfume Pursuit: Is Fragrance Worth A Long Courtship?, and the comments to this article offer many interesting suggestions. 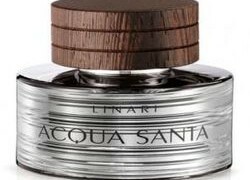 Perfumes That Challenge and Perhaps Seduce gives some examples of fragrances that might be difficult to approach, but that eventually reveal their beauty. A question might be raised about the gender divisions in perfume. Can you wear a fragrance marketed to the opposite gender? This can be a fun exploration in itself, and Running with the Boys : Adventures at the Fragrance Counter describes my own discoveries (and mishaps). Bois de Jasmin also has a selection of articles and city guides on perfume shopping that might be helpful. If you travel to Paris, you might like to consult my Paris Shopping Guide (and be sure to stop by Grain de Musc for more Paris perfume suggestions). Finally, even if you don’t speak a word of French, Bela’s website Fragrance Name of the Day will help you pronounce perfume names with a perfect accent. Sometime it helps to smell fragrances that are considered great and unique. For instance, you might like to look at Guy Robert’s Selection of Perfume Masterpieces, a compilation made by a great perfumer who created some of the most remarkable fragrances of the 20th century such as Hermès Calèche, Christian Dior Dioressence, and Madame Rochas. In the ongoing series Fragrances That Influenced Perfume History (soon to be resumed! ), I present an overview of perfumes that scented the 20th century and had a profound impact on fragrances we smell today. 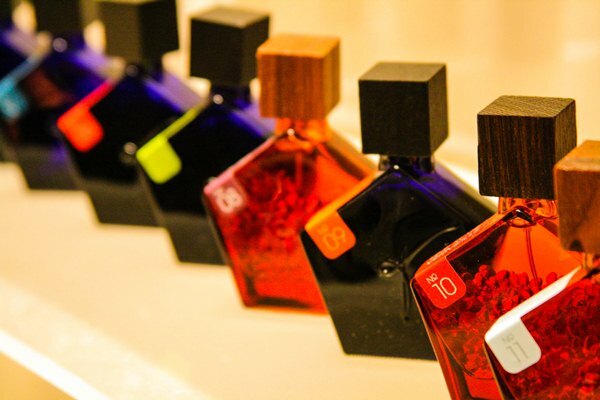 You need not have classical perfumes in your wardrobe, but it’s still worth exploring them. In 10 Things I Love About Classical Perfumes I talk about my favorite reasons for enjoying perfume classics. Or you might be interested to know what women around the world like and buy: Perfume trends, Top Selling Feminine Fragrances USA, Top Selling Feminine Fragrances France, Top Selling Masculine Fragrances USA, and Top 20 Bois de Jasmin Reader Favorite Fragrances. By contrast, Top Great Market Failures offer a look at the market flops, some of which are excellent. The promise of a signature scent is tempting–a scented signature that our friends and loved ones will always associate with us, but is it really so fulfilling? In Signature Scent, fragrance expert Marian Bendeth explores why a signature perfume may not the best way to wear fragrance. We don’t wear the same clothes, eat the same food or listen to the same music. In the same way, having a perfume wardrobe might be a more enjoyable way to dress up in fragrance. By a perfume wardrobe, I don’t mean a collection of dozens of perfumes. A small, well-edited selection is much better anyway. In Building Perfume Wardrobe, I describe how I approach building my own wardrobe. Under the tag how-to-wear-perfume, you will find lots of posts about different ways to enjoy fragrance. There are no specific rules, and your choices will be driven by your personal preferences. Be sure to read the comment sections for these articles, because they are full of great and inspiring advice. For instance, Suzanna’s Perfume At The Office : Workplace and Scents looks at ways to wear perfume in close quarters. “Can’t Decide What To Wear” : Choosing Perfume is about our favorite fragrances that always feel right, even when you can’t decide what you are in the mood for. Little Black Dress Perfume : Best Versatile and Elegant Fragrance, Elegance in a Perfume Bottle, Playing Femme Fatale : Red Lipstick and Perfume, and Red Lipstick Fragrances explore the ideas of elegance and glamour that your fragrances might convey. Occasionally, we also want our perfume to touch and inspire others. Most Complimented Perfume is a favorite topic, as is Perfume As Seduction : On “What Drives Men / Women Crazy”. Most Romantic Perfume is another discussion of scents that evoke romance and allure. Some fragrances have a strong emotional effect, making you feel relaxed, comforted or uplifted. Daytime vs Evening Fragrance, Refreshing Perfume, and Relaxing Fragrances : How Perfume Alters Our Moods are a few posts on this topic. 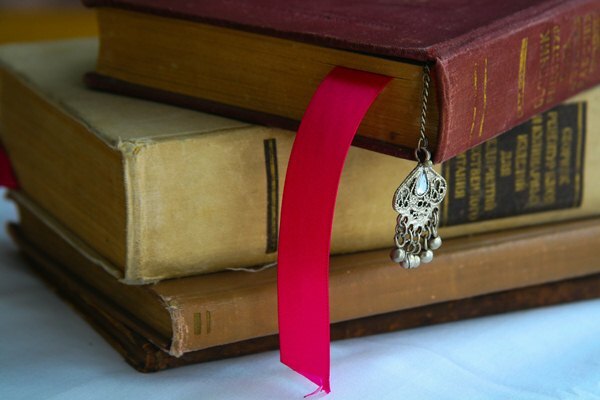 I discovered recently that many of us love to wear fragrance to bed to help us feel either sultry or relaxed, and the comments to Perfumed Nightgown : What Do You Wear are very interesting to read. When you have played with your fragrances enough, you might consider layering. Layering Fragrances : Perfumer Jean-Claude Ellena and French Elle Part 1 and Layering Fragrances : French Elle Part 2 give guidance on how to approach fragrance layering. Tips and Tricks: How Do You Apply Perfume? is about the ways to scent yourself and make the fragrance linger on your skin. If you are interested to explore fragrances appropriate for different seasons, please take a look at my selection of fragrances for fall, winter, spring, and summer. At some point, you will be interested in the ingredients you’re smelling in your perfume. Some materials might be instantly familiar such as vanilla, rose, cinnamon, pepper, and freshly cut grass, while others will be a mystery–what’s that starchy, sparkling thing in the top notes of Chanel No 5 that smells vaguely like candle wax? (Aldehydes!) Since my day to day work revolves around perfume raw materials, I enjoy writing articles that focus on various fragrance ingredients, from amber to ylang-ylang. The full selection can be found at Perfume Notes Index. Speaking Perfume : A-Z of Common Fragrance Descriptions might be helpful to figure out the meaning of the common terms found in perfume reviews. Myth of Perfume Pyramid explains why the marketing concept of a perfume pyramid is misleading. 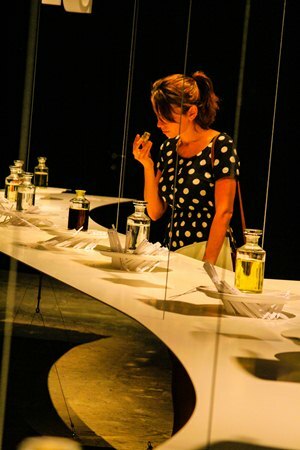 You might also be interested to learn about perfumers/noses who are behind the fragrances you are smelling. Interviews includes conversations with Sophia Grojsman, Serge Lutens, Yann Vasnier, and more. Some of my favorite perfume books are discussed as well, and I recommend checking them out if you are hungry for more information. Since smell and taste are tightly linked, I enjoy exploring this overlap in my food themed articles, which can be found at Gourmand Library Index. You can find tested recipes for scented drinks, desserts, homemade preserves, salads and vegetable side dishes and much more. Spices and flavors can enhance even the simplest preparations and help transform something as ordinary as a grilled chicken breast into a gourmet meal. The more time I spend researching scents, the more fascinating this topic becomes. Perfume history is inextricably linked to developments in science, new movements in art, trends in fashion and social changes. If you enjoy learning more about this topic, the Perfume History category offers different articles such as The Game of Love : Perfume in Kamasutra, 18th Century Incense Recipe, Sweet Honey Water : Perfume Recipe from the 17th Century, Maria Tallchief, Balanchine and Guerlain, Big Shoulders, Big Hair, Big Perfume : 1980s Through Fragrance, and even the history of drugstore perfumes in Classics on a Budget : Drugstore Perfumes. Coming of Age : An American Perfume Story is Suzanna’s beautiful exploration of American perfumery tied with her own experiences in becoming a perfume lover. Discussions of historical perfumes and fragrance houses can also found under the Classics and Vintages rubric. Perfume is a business and sometimes its practices are confusing and frustrating. Under the tag of perfumery-business, you will find my articles about what it takes to make a bottle of perfume. The ongoing series How Many Hands Touch Your Bottle of Perfume will further contribute to this topic. I have hundreds of perfume reviews here, and you can sort them by house, by creator, by note, by mood, or by rating. 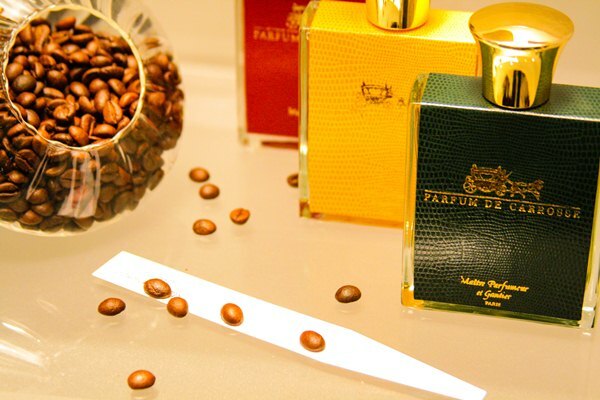 A to Z Tips for Enjoyable, Affordable and Rewarding Perfume Hobby includes numerous tips that have been contributed by Bois de Jasmin readers and if you are not sure what a decant is or how to order samples, it’s a great place to start browsing. Also, NSTperfume’s New to Perfume and Want to Learn More, Perfumeposse‘s Perfume 101 and Perfume 201 are excellent resources that include many great recommendations. Enjoy the journey! jillie: What a feast of reading I have before me! I’ve quickly looked at a couple of the references, and was especially interested in your Sophia Grosjman interview as she has created so many of my favourite fragrances. She sounds as beautiful as her perfumes. Thank you for putting all this together. Victoria: Sophia Grojsman is as warm as her perfumes and one of the most talented people I’ve encountered (but I must make a full disclosure, she’s my teacher and mentor). I did that interview before I started studying perfumery (I was still at the university and planning to enter a totally different field), and I remember how influential meeting her was for me. Hope that you will enjoy the post! Rachel: V, I hope that this post goes into your “Featured Posts,” because I know I’ll be referring to it *many* times. Victoria: Rachel, thank you, I will do that. Zazie: Wonderful article, and so much interesting reading material, to discover and to (re)read! 1. The best piece of advice I would highlight from your article(s) is to try many samples before you buy, because the more you smell, the more your nose gets “better” at understanding differences and nuances. We are usually drawn to what is familiar, so sniffing a lot before committing to a bottle helps a perfumista “en herbe” to learn to fly with her own wings and to develop and understand her own tastes. 2. When I discovered “now smell this”, I applied to the Monday mail feature, in order to get suggestions on possible scents I would like. Looking at the list of notes and perfumes I thought I liked/disliked, I cannot but wonder at my own ignorance. I’m glad I wasn’t selected for the feature, it would have been useless. Smelling and reading is the only way to give words to your perfume perception, so you can use terms such as gardenia, musky, chypre in a correct and “shared” way! It took time and lucky chances for me to try on skin Fracas, Shalimar and the likes (which had been hastily dismissed after a smell-the- cap trial, but mostly based on their “image” and “fame”). I discovered that my perfume tastes geared towards the opulent, symphonic, uber-feminine and preferably floral compositions. An interesting and surprising revelation, I can assure you! Sorry, for the long comment, but I remember how posts like this one helped me at my very beginnings! Victoria: Gosh, Zazie, thank you so much for such a great and inspiring comment. I cannot agree more with all of your points, and as I read, I nodded my head. iodine: “Enjoying perfume is only one facet of being scent obsessed–cooking, gardening, and even something as simple as taking a walk in the park counts too”. 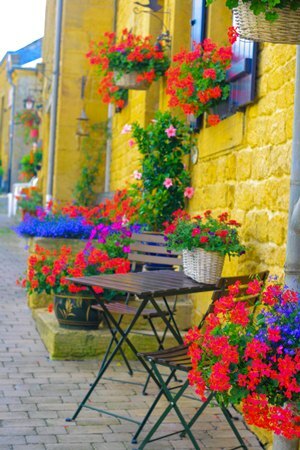 Here, dear V, I would link to your marvellous posts on cooking and gardening- they’re so precious, too! OperaFan: Dear V – You need to turn this post into a separate “Reference” page and update the links once in a while. It certainly makes a nice way to assess the many ways you’ve addressed the world of fragrances and how they fit into our lives. maggie: I have ‘Evernote’ed this page so that I can go back to it easily – it is such a fantastic resource, thanks Victoria! Victoria: Thank you very much, Gretchen! This means a lot to me. 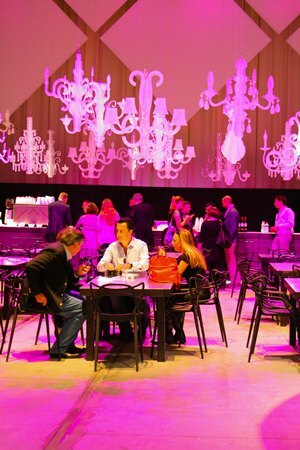 SL Clark: The snobbery of it all, reminds me of a certain well known Napa Valley winery tasting room. Victoria: I love Bela’s voice, and I wish she would record a longer text, so that I could listen to it and just swoon. Victoria: Thank you so much, Andrea. It’s a cumulative effort! 🙂 And it was fun to look back and see what all of us have been interested in the early years of BDJ. It’s like re-reading old diaries or letters. Wrenaissance Art: First, your writing is so evocative that it brings your experience of the different fragrances to life in the reader’s mind. Very enjoyable reading! Victoria: The funny thing is that it’s sunny today, but it’s raining heavily! That’s Belgium for you. So, L’Heure Bleue feels perfect. I don’t have to do any scent or raw material related work today, so I have a luxury of wearing perfume for pleasure. Living in a small town shouldn’t be a deterrent to discovering scents, and I personally have lived in small college towns most of my life. I loved Suzanna’s article too. Gentiana: Thank you for this article, Victoria! I am diving since a few decades into perfume-world. The things developed in steps since mom’s and aunties’ perfumes I always had to try, to my first perfume as a girl.. Than the second… I was about 20 and I’ve dreamed a perfume, with smell, look of the bottle and a few ingredients. After that I started to search THAT perfume… and never found it. But I smelled a lot. 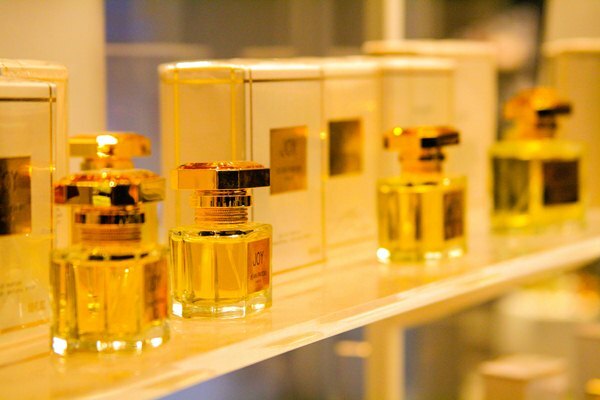 It was in the late nineties when I found the book of Joan Oakes – The book of perfumes. That was the beginning for the real quest, by having some basic information about ingredients, houses etc. In between perfume became my most important relief: after a hard day, smelling a few of my perfumes relaxed me more than a glass of wine. But I NEVER managed to do a really systhematic quest in perfume world. I am always overwhelmed at the perfume counter. And I did a lot of rush buys that I later regretted. I already was obsessed, information I’ve got was not enough, mainstream fragrances had nothing new and no more interest to me, niche perfumes were above my budget and I had no store in my town. And when I had a journey to Bucharest I tried to smell as much as possible in 1-2-3 days and begged for samples. At the end of 2011 I got Octavian’s book (in romanian) and, being very long ill, I read and I had time to navigate on the net. And I discovered your blog and Grain de Musc and the others. My hobby became THE hobby… (And it helped me to get through one of the worst period of my life). I learned to order samples on the internet (some perfume houses have nice and friendly sampling programs, some don’t), I still feel puzzled, I have not enough skin real estate and time to smell everything, I neglect my work reading the perfumistas’ blogs for hours and hours, I spend my money for samples or for sume eccentric unsniffed perfume purchases (the latest: an arabian emirates Dehn-Al – Oudh Al- Cambodi)… And I feel thet you and Suzana and the other blog writers and the blog readers are my friends. Although I feel to shy to interfere in topics. It is impossible for me to put into words the gratitude I have for you, for inventing Bois De Jasmin. Years ago you wrote about Caron scents so evocatively, and you patiently answered some ridiculous questions I had. Everything about you and your blog is impossibly elegant, and I thank you from the bottom of my heart. My Patous are wonderful-thank you for answering questions about those for me. There is not a lot if information about them. Maybe the reissues will generate some more interest. Also I think the move towrds the original quality vision of the line will be a saving grace. Victoria: Thank you very much both for your nice words and for reading me. The generosity and kindness of the perfume community are always inspiring, and I’m as happy to sit down to write and reply to comments as I was when I first started this blog 9 years ago. I’m always happy to respond to any and all questions too! Amanda: Happy Thanksgiving! I wasn’t certain where to pose this question but need some expert advice. I’ve noticed in the last few weeks that some of my fragrances seem to fade almost immediately (within an hour). These include Hermes Eau des Merveilles, D&G The One, and others. I don’t find Tom Ford Private Blends or Estee Lauder PC fade as completely but they are dampened. I’ve tried to reset my nose (smelling coffee beans, e.g.) to see if it’s me but the fragrance genuinely seems to disappear from my wrists. This was not happening a month ago and it also does not seem to affect other parts of my body. I now spray on the inside of my elbow and it lasts quite a while there. But I am disappointed my wrists seem to be a useless carrier for scent. (Surreptitiously sniffing one’s inner elbow is much more difficult than one’s wrists.) I have not changed anything of note; no new products, the weather is a little cooler but still damp, no extreme hand washing, etc. I wear different fragrances regularly so I don’t feel it’s scent fatigue but I don’t know. Amanda: Thank you for the suggestion! I’m going to give that a try. After posing this question I began thinking there must be something going on with the scent getting rubbed off my wrist due to typical hand washing and typing on the computer. Fragrance on my right wrist disappears much more quickly and that’s where I have a tendency to rest my wrist on the mouse pad. anonymous: Hi, I have a question that I was hoping someone could assist me with. I know that this question is not pertaining directly to the topic but I dont know of any other place in this blog site to ask. 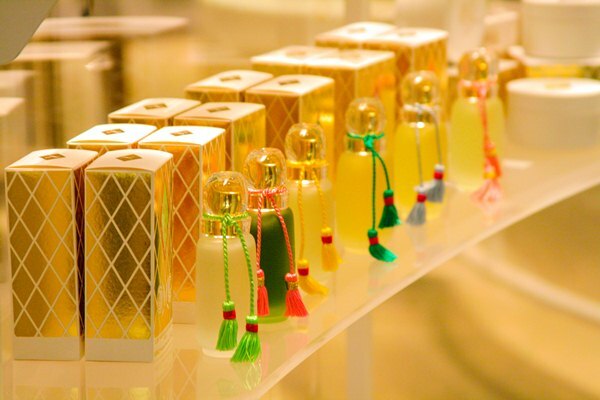 Victoria: That’s Les Parfums de Rosine, a brand devoted to rose scents.